Before April 11th, 2015 I knew very little about ticks and Lyme disease. I knew my friend suffered from chronic Lyme and her symptoms were awful. But, she said she was bit by multiple ticks while in another country on a mission trip and went undiagnosed for years. She’s now in an electric wheel chair, unable to do many things that she used to, and in pain every day. Her children are also infected with congenital Lyme as she unknowingly passed it on to her three kids. I figured her case was very rare. 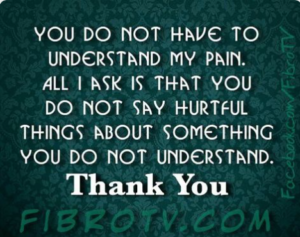 Sadly, MANY in the U.S. suffer with chronic Lyme the same way she does. Her case is not rare at all. And Lyme can affect absolutely anyone. Lyme does not discriminate. 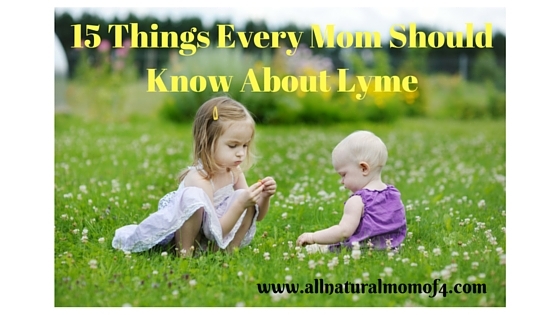 Babies, young kids, healthy adults, and the elderly can all get Lyme and do. Women need to get treated before they have kids or they can pass it on to their kids and some studies have shown and many know from experience that it can be sexually transmitted. But when my then 14-year-old son was bit by a tick and got Lyme Disease and several coinfections, I was forced to take a crash course in Lyme. I knew almost nothing about Lyme. Literally. Now I can’t believe how many times I hear people say that their child was just bit by a tick and has a bulls eye rash and they have no idea what to do and don’t know anything about Lyme (that was me). Ticks were out in full force that year because of all the snow we had the winter prior. It provided an ideal environment for the ticks to thrive. I’m not a doctor or Lyme expert, and am not giving medical advice. Please find a Lyme Literate Medical Doctor (LLMD) that you trust. Based on my own research below is what I have learned over the last year and what I would suggest doing if you discover a bulls eye rash on your child. Please do your own further research and decide what’s best for your child. 1. Remove the tick with tweezers only. If you find a tick on your child, remove it with tweezers as close to the skin as possible, pulling straight out, then put it in a sealed baggie. Do not wiggle from side to side. You want to make sure you get the whole thing out, not leaving the head behind. Do not use heat or any other kind of solution on the tick like soap or oils. Why? Because you don’t want to irritate the tick and cause it to empty the contents of it’s stomach back into your child’s body. That is where the Lyme bacteria are. This however, isn’t always possible. Ticks can hold on very tight and it’s sometimes hard to get them off. But do the best you can. I read somewhere that soldiers in other countries carry around tea tree oil in case they get any ticks on them. They said when they put the tea tree oil on, the ticks would back out. This may work, but you risk the chance of the tick emptying their stomach because it gets irritated. So, I’m not sure on that one. But almost all Lyme web sites say just to use tweezers. They also sell tweezers that are specifically designed for pulling ticks off. I haven’t used them so I don’t know which one is best but if I camped a lot, I would definitely get one. Make sure to wash your hands after, and the area, and put the tick in a sealed baggie. They do not die very easily. They can survive water, no air, and no food for a very long time. Someone I know kept one in a jar for a year, and it was still alive after all that time. If I was not able to send the tick in for testing, I think I would try burning it. 2. Save the tick and send it in for testing. If you were able to keep the tick (in a baggie), you can send it in for testing to see if it has Lyme or coinfections. Coinfections are infections that are similar to Lyme and are often also carried by the ticks. Some common ones are Bartinella, Babesia, and mycoplasma to name a few. You want to have the tick tested through Bay Area Lyme Testing which is free. We did not save the tick. I didn’t know to. 3. 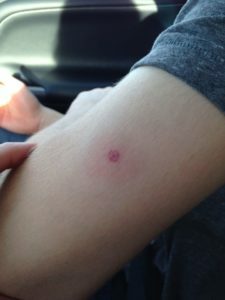 A bulls eye rash means Lyme 100% of the time. 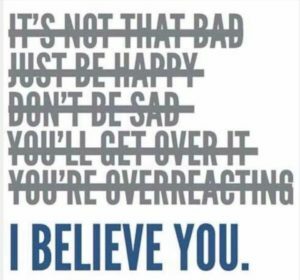 The sooner you can treat the better. As soon as the Lyme bacteria is in the body, it starts to replicate and look for places and ways to hide from your immune system. The Lyme bacteria are spiral shaped (spirochetes) and can and will burrow into your heart, brain, muscles, joints, and central nervous system. Get your child to the doctor as soon as possible. If your doctor can’t see you right away, go to the ER (we did). 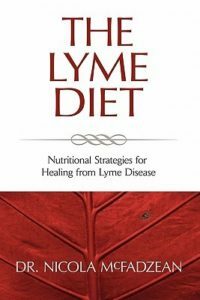 There is one study on the Internet that says if you treat Lyme within 72 hours of the bite (with one dose of doxycycline), you can eradicate Lyme. This isn’t true, partly because of the high prevalence of coinfections present along with the Lyme but also because you will need to treat a lot longer than one day. But, I think it helps drive home the point that early treatment is indeed crucial. Do not wait. 5. Bulls eye rashes come in many shapes and forms and can disappear quickly. They don’t necessarily have to grow and get worse. Sometimes they don’t (my son’s didn’t). Make sure you take pictures! This is very important so that you can show the doctor and so you can keep track of the rash – if it’s changing, etc. Not that that really matters. If it gets bigger or stays the same, or disappears, it makes no difference. 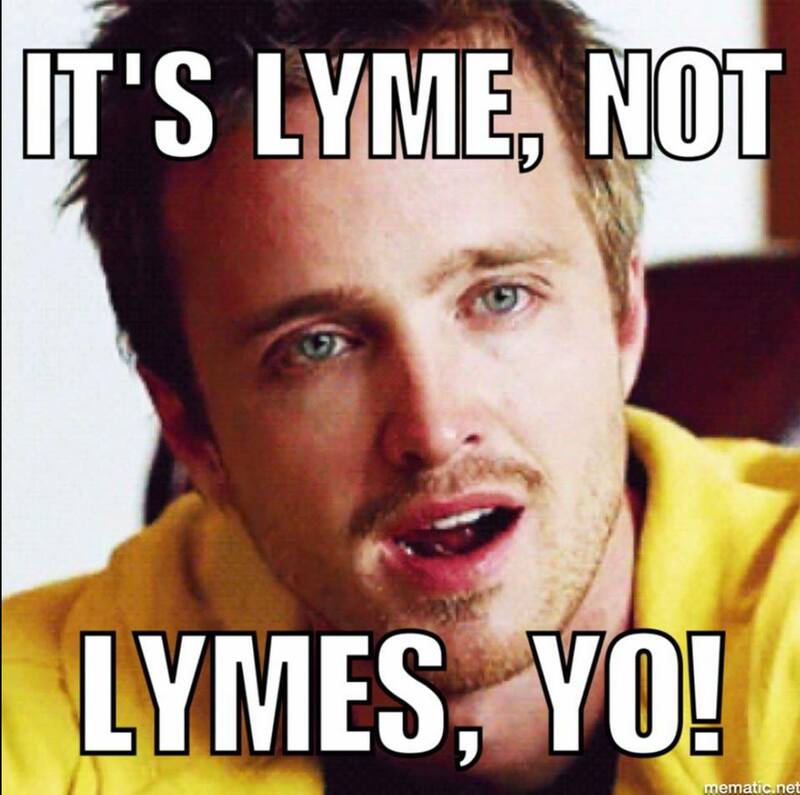 If it was there at all, it means Lyme. If the bulls eye rashes reappear in other locations however, that means that the Lyme bacteria have moved to other areas of the body, and that’s not good. In acute infections, you want to attack the Lyme immediately before it has a chance to spread to other organs and areas of the body. Bulls eye rashes are typically darker in the center with a fainter ring around it, often a salmon color. But, rashes can come in many shapes and forms, and if your child acquired one of the coinfections, the rash may look different. A Bartinella (AKA Cat Scratch Fever) rash can look more like a cat scratch or lines, some are almost like red stretch marks anywhere on the body. Google to see some examples of bulls eye rashes. Some doctors will tell you it’s ring worm or just a reaction to the bite itself. Ring worm will have a raised crusty appearance. Lyme will not. Ring worm should respond quickly to tea tree oil (diluted with coconut oil) or apple cider vinegar. Bulls eye rashes usually appear within 1 to 30 days after the bite and may not stick around for long. My son’s appeared two days after the bite and it faded within hours (I’m not exactly sure how many hours because he was at school but by 7pm it was gone). We had been applying essential oils so that may have been the reason my son’s disappeared so quickly. Luckily I got a picture of it. 6. Less than 50% of people who become infected with Lyme ever got a bulls eye rash or saw a tick on them. Also, some ticks, especially the nymph (baby) ticks can be as small as the size of a pencil mark, barely visible to the naked eye. If the bite was on the head or neck area, you may not see the rash because of the hair. You can still get Lyme even without getting a bulls eye rash or tick. You can diagnose based on symptoms and blood tests (though realize that some blood tests are inaccurate. You want to use Igenix or I-Spot.). Some people’s immune systems just don’t react to the bite. If you see a bulls eye rash, consider yourself lucky (and not so lucky). But if you hadn’t seen the rash, you would have had no chance to treat immediately. I’m extremely grateful that we both saw the tick and the rash. 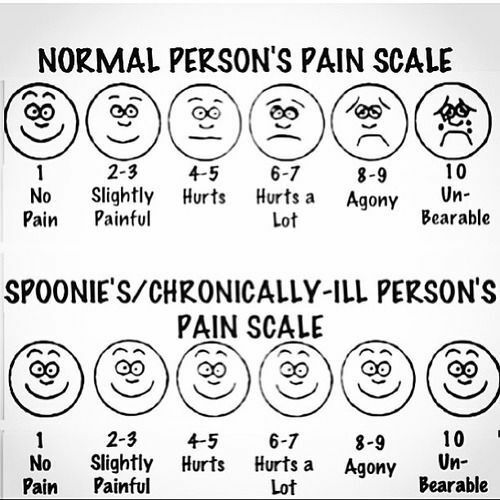 There are many symptoms to watch for but the most common are joint pain (or being diagnosed with juvenile arthritis), swelling of the joints, chronic fatigue, flu-like symptoms (more common with an acute infection), unexplained fevers, pain all over (or being diagnosed with fibromyalgia or MS), brain fog, and many, many more. For a full list of symptoms by coinfection, read here. 7. 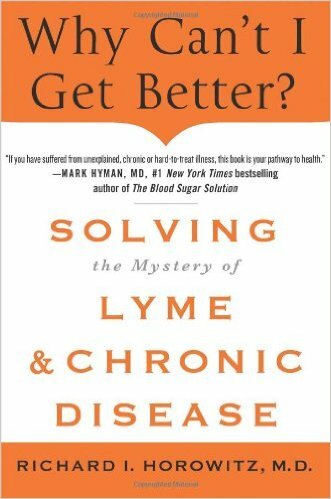 Most (like 99%) of regular doctors do not know how to treat Lyme properly (even Infectious Disease Specialists). Part of the problem is that they must follow the CDC (Center for Disease Control’s) protocol which is to treat with 10 days of doxycycline (doxy) only with the presence of symptoms (flu like symptoms and a bulls eye rash). If they treat outside of that protocol, they risk losing their license. Many Lyme groups are trying to get the protocols changed. 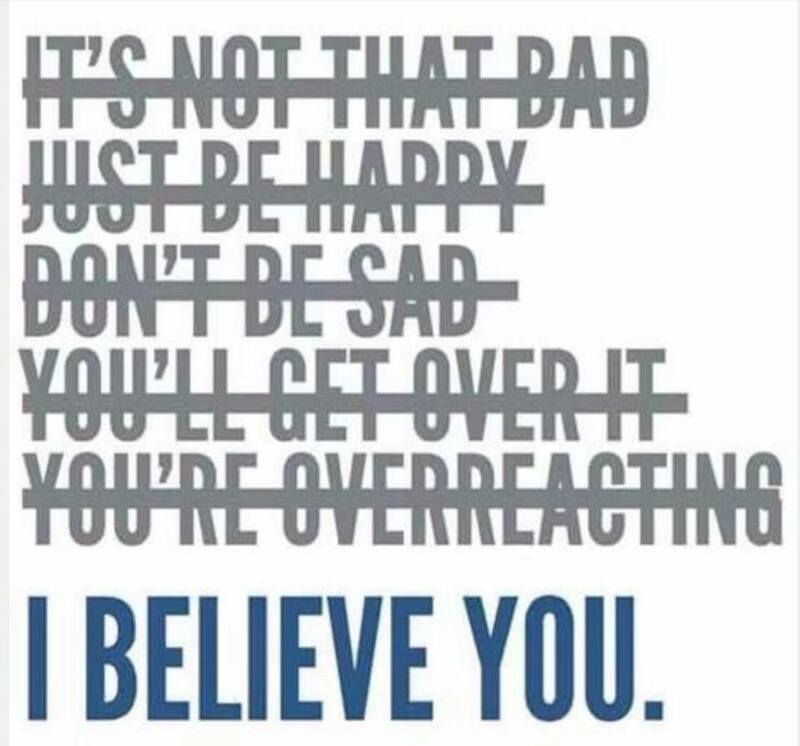 Be prepared to have to advocate for yourself. I recently heard that they did change the protocol but that many doctors have not been trained on it yet. 8. Show your doctor a picture of the bulls eye rash (especially in the cases where it has faded), and request as much doxy as they will give you. 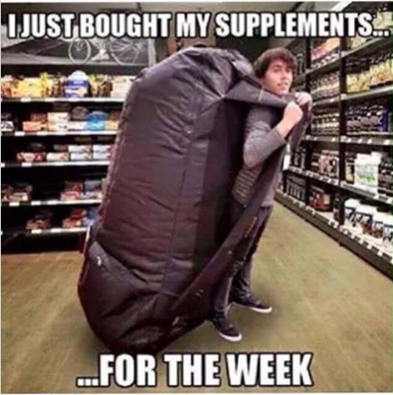 They will likely want to prescribe 10 days. If you can get more, get it. But 10 days will at least buy you some time so you can hopefully get in to a LLMD (Lyme Literate Medical Doctor) or LLND (Lyme Literate Naturopathic Doctor). The doctor can and will only prescribe more doxy if symptoms are present (joint pains and flu like symptoms are the most common symptoms in early Lyme – called an acute infection, rather than chronic Lyme that has been present for years). 9. Realize that you will need more than just 10 days of doxy. Studies have shown that acute infections treated with only 10 days of doxy had very high failure rates. Meaning many went on to later develop chronic Lyme. Many suggest a minimum of 30 days of antibiotics. (Part of the reason for this is that Lyme are thought to reproduce once a month, around the full moon.) Some suggest 6-8 weeks as a minimum. We chose to do 6 weeks, along with herbs and homeopathics and supplements and diet change (mostly just reduced sugar intake. 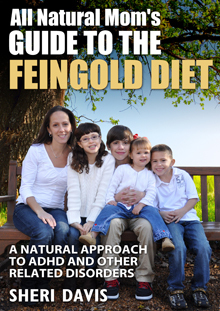 He was already mostly dairy free and Feingold. He couldn’t give up gluten though he may have to at some point.) the entire time as well, and continued with everything but the antibiotics for about 4 months. We did 100 mg of doxy, twice a day with a meal. (See the end of this post for an update on my son now.) Also do not lay down the first hour after taking doxy or it can burn your esophagus. Some LLMD’s will suggest taking 3 different antibiotics for a minimum of 3 months. Each antibiotic targets a different form of the Lyme bacteria. They may prescribe an intracellular antibiotic, an extracellular, and a cyst buster to make sure you are targeting all shapes that the spirochete can turn in to. Dr. Horowitz talks about this in his book, Why Can’t I Get Better? in Appendix A in the back. If your child is under 8 years old, they will prescribe ammoxicillin. Doxy can cause a child under 8’s teeth to turn gray permanently. Doxy can also cause severe sun sensitivity. We were told to put sunscreen on every 30 minutes. Not everyone has severe sun sensitivity with it, but some do and will burn severely within minutes of being outside. Take doxy with food to avoid nausea and don’t lay down within 30 minutes of taking it. It can burn your esophagus. You can alternatively take azithromycin instead, or minocycline. We did 3 weeks of doxy in April, then switched to 3 weeks of azithro because my son was in track and worried about getting sunburn. Later, another LLMD said she recommends minocylcine instead of doxy because she thinks the Lyme do not hide/morph as much from the mino as they do with the doxy. I don’t know if that’s true or not but it annoys me that her associate put my son on doxy originally if that is true. You can also apply some essential oils to the bite site several times a day – we did oil of oregano and our “Owie Spray“, and give some immune boosting supplements. 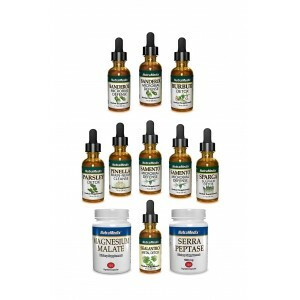 Buehner recommends 1,000 mg of astragalus a day for about 3 months for an acute infection. See article here. My son did take that. Ledum is one of the recommended homeopathics for new bites. We used several DesBio homeopathic remedies through our LLND. If I had a little one with Lyme, I think I would lean toward homeopathics for treatment. Astragalus can also be taken as a preventative daily if you live in an endemic area or your child is going to camp but it needs to be taken for a few weeks before going to camp. We also take B-complex as it makes you less appealing to bugs (the B-1 in it). Eating garlic will do the same. 10. Try to get in to an LLMD as soon as possible. If you tell them that it was a recent bite, sometimes they will get you in sooner, or they can put you on a cancellation wait list. Most LLMD’s in our area had a two month wait list but we were lucky and got in to one right away and got an extension on our antibiotics. Some areas do not have an LLMD. We are near Chicago and the WI border so we had a few to choose from. Some people travel a few hours to get to one. But check around because some will do Skype. To find an LLMD in your area, join a Lyme Facebook group and ask for recommendations. This is important. 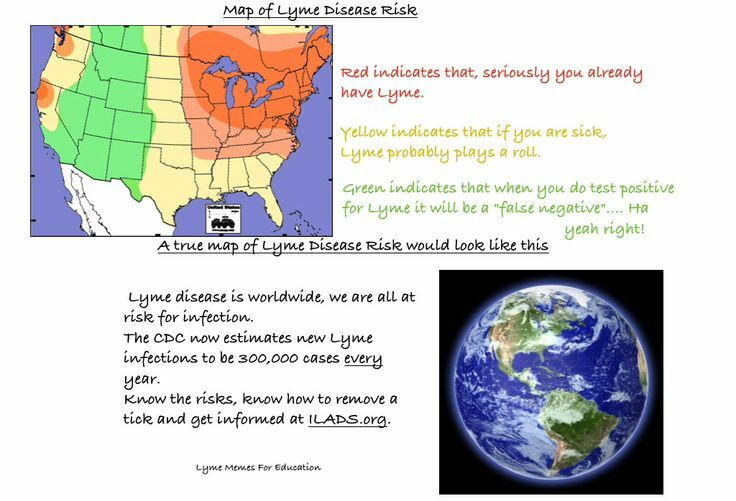 You can also request the names of LLMD’s from ILADS here (International Lyme and Associated Diseases Society). This took about two days and I got the names of three doctors in the area. ILADS does not screen these doctors at all though so I would go based on recommendations instead. There is one doctor by me that was on ILADS list but was not very good and I’ve heard several patients complain about him. There are some LLMD’s who are just out to get your money unfortunately. 11. Join a few Lyme Facebook groups. There are a number of Lyme groups on Facebook. Try not to get discouraged by the tone on the groups. Some of them are more positive than others but many are just honest, and many are suffering greatly. But, you really need to get on there so you can ask questions and learn. These people are living with this disease and they know a lot. One common thread you will hear often is the unacceptance from others of their disease. Many just want to be believed. I would suggest joining more than just one group, as each one is different, and has a different focus. One group may focus on antibiotics, while another focuses on a more natural approach like herbs, homeopathics, or the Cowden protocol (which is herbs). Some things work better for some people than others as well. If you ask on an antibiotic group if your child should take abx, they are going to say yes. If you ask on an herbal group, there will be more people that will say no. So, you have to do your own research and talk to your LLMD, and do what is best for your child. 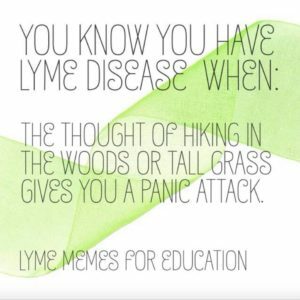 I got a couple referrals for local Lyme Literate doctors (LLMD’s) from people on FB groups. You are not allowed to mention the full name of doctors online as a means to protect the doctors who are in danger of losing their licenses for practicing outside of the CDC guidelines, though that has recently changed I’ve heard. People will say “Dr. G in WI” etc. and then you can private message (PM) people for more info. 12. There is more than one way to treat Lyme. If you’re freaking out because you have a little one or you can’t do antibiotics for one reason or another, there are other things you can do. Almost everyone though, no matter which method they use to treat, agrees that if they had acute Lyme (a recent bite) they would first treat with antibiotics to try to stop the Lyme immediately. Antibiotics do stop the Lyme from replicating (or reproducing), but from my understanding and from what a couple doctors told me, it does not kill the Lyme. It allows the body’s immune system the chance to fight it, without more Lyme being replicated. That is why we also did herbs, homeopathics, diet, and supplements at the same time. I think it’s important to understand that antibiotics are not the cure all but probably necessary in an acute infection. In talking to several holistic doctors, who typically never prescribe antibiotics, they all said in the case of an acute Lyme infection (or strep), they always recommend antibiotics. It’s when you have chronic Lyme, that I believe you can then research and determine which route you feel would be best for you or your child, as antibiotics do destroy the gut. You have to weigh the pros and cons. Healing the gut is easier than healing chronic Lyme. And some people find herbs and/or homeopathics to be very effective, without the use of antibiotics. Everyone responds differently though and it’s a difficult decision. 13. Make sure your child is taking probiotics. 14. Any kind of tick can transmit Lyme and they can transmit even if it’s been less than 24 hours. Ticks can transmit Lyme and other coinfections in ANY amount of time but the longer it is on you obviously the higher the chance of it transmitting. Please don’t think that you can only get Lyme if it is on you for at least 24-36 hours. That is not true. People who have Lyme know for a fact that the tick was attached for less than that and that they got Lyme from that bite (bulls eye rash, tests, etc. being the proof). The doctor who first discovered Lyme in the 1970’s says that 5-10% of ticks have systemic Lyme so they could transmit Lyme just from their saliva at the time of the bite. Not after they have fed and been attached for several hours. This is why it is important to wash your hands after removing a tick or put on gloves before removing it if you have them. The tick that was on my son was on him for about 23 hours. The tick was on his bicep so it probably crawled up from his sleeve when he went to pick up his frizbee. (My son was wearing jeans and a sweatshirt.) He said part of the frizbee golf course was in a wooded area. And deer ticks are NOT the only ticks that can transmit Lyme. ANY tick, or biting insect for that matter can transmit Lyme. It is just the most common among ticks. Mice, deer, dogs, cats, birds, horses, or any animal can carry infected ticks on them as well which can then get into your house and on to you. Reason number 552 why I’m glad we don’t have a dog. I’ve heard so many people say their dog sleeps in bed with them and they’ve woken up with a tick on them or in their bed. Please check your child and yourself for ticks every day especially after being outside or in the woods. My son found his on his bicep while showering the next morning. They like to latch on to you around the feet and then crawl up to behind the knees, the groin, the arm pits, the neck and behind the ears, but they can go anywhere. We now use homemade tick and bug repellents with essential oils. See recipes here. Spray around the feet especially. The shorter amount of time the ticks are on you, the less chance you have of contracting Lyme. If you find one crawling on you, just pray that it didn’t just already feed and detach. If it did feed, it would be bigger and fuller looking. If you pull it off and it is not full, it could mean that it regurgitated its contents already. My son’s looked like that. We had a very hard time pulling it off. And why did he not feel the tick bite him? Ticks have a numbing agent in their saliva that numbs the area they are biting so we don’t feel them. Ick! 15. Lyme is in EVERY state. Buhner has written several books. All of them are good. He focuses on using herbs to treat Lyme. Dr. Horowitz is very good as well and focuses on antibiotics to treat Lyme. 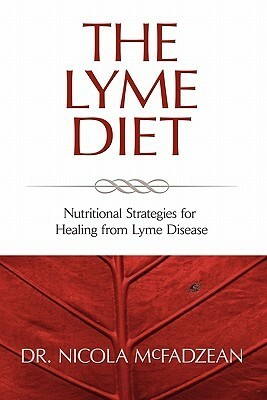 Good book that explains that avoiding gluten, dairy, and sugar is often very helpful and necessary in fighting Lyme. 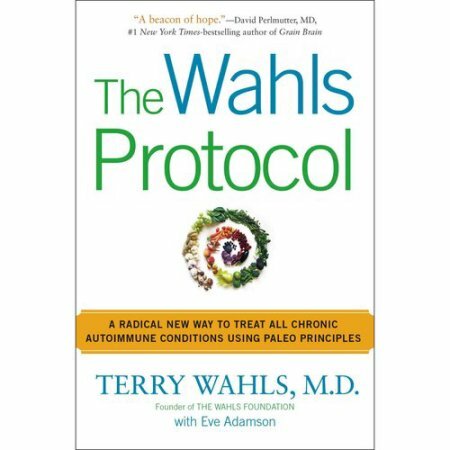 The Wahl’s Paleo Diet is also very helpful for Lyme or any autoimmune disease. 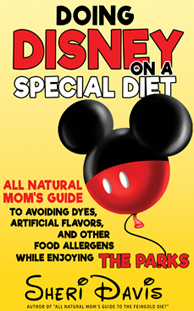 It is a stricter form of the Paleo diet. And an update on my son who is now almost 16, one year and two months post bite. We continued on the herbs and homeopathics till about August when he started school, so about 4 months. He had had no symptoms for more than 2 months, which is the typical protocol used to decide when to stop treatment. We continued with the supplements to help him maintain a strong immune system as we know that Lyme is tricky and can tend to resurface during stressful times or later on in life, and knowing that it is difficult to completely eradicate Lyme and coinfections. He was doing fine for a few months. Around November and December, he started having trouble getting up in time for school. January got worse. Everyone thought he was just being a rebellious teenager but no discipline seemed to help him get up in time for school, and he was never a rebellious child. He always got straight A’s and hated being late for school. In February, 2016 I decided to use the I-Spot test that our LLMD had given us to take before we stopped treatment. Since he didn’t have any symptoms and the test was $350 and my son hates needles and didn’t want to do the test, we hadn’t done it yet. 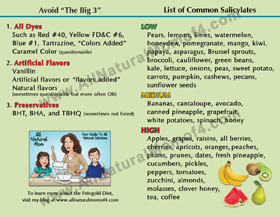 I had also talked to our holistic doctor about my son’s symptoms (mostly fatigue and insomnia at night), and he ordered a NutrEval test to see what was going on in his body. I told him I was also going to have him do the Lyme test just to rule that out. I really didn’t think it was Lyme since we had treated so aggressively (or so I thought). In mid February, we got the I-Spot test back and it was positive and a score of 158 which means a very active current infection. If the test is below 17, the test is negative. If it’s over 25, the test is positive. Over 50, is very high and means the infection is more recent. Someone with chronic Lyme might expect to see a score between 25 and 50. My son’s was very high, meaning his body was fighting very hard to get the infection under control, thus the reason for his severe fatigue and adrenal failure, and some anxiety and brain fog. When he wasn’t sleeping, he would appear completely normal so he took a lot of heat from teachers, friends, and family, myself included. When you read the posts of people suffering with Lyme, you understand that they always look great on the outside, but are suffering immensely on the inside. Or, they might be able to get out and do the things they used to do for a day or two, but they will pay for it the days after when they crash and have to stay in bed for the next two days. It’s very hard for others to understand. 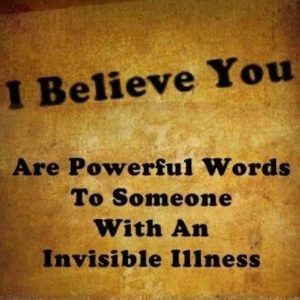 If someone tells you they have Lyme or any other invisible chronic illness, on behalf of all Lymies, please keep your comments to yourself unless you are living this nightmare yourself. In March, we started on the Cowden herbal protocol and DesBio homeopathics and more supplements like Lyme Transfer Factor Plus again and more. We had tried doxy for a week prior to that and he was vomiting and yeast was getting out of control. He was very against taking antibiotics so we did research and decided upon the Cowden protocol through www.nutramedix.com. We used code TAF16 to get 25% off our first month’s package. In 2017, the code will be TAF17. 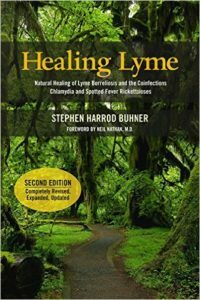 Buehner is another good herbal protocol (we had used some of Buhner’s herbs at the time of the bite like Andrographis and Japanese Knotweed), but I liked the step-by-step guidance provided by Cowden. We follow their chart of what herbs to take 4 times a day. In May, we added supplements to support his adrenals like ACE (adrenal cortex extract), GABA, and Brain Calm. He sees an LLND every two months for a zyto scan which are showing that his numbers are coming down. He has been taking DesBio vials (once every 3 days) that target Babesia, Lyme, and Bartonella. We know from zyto scans and symptoms that my son also has Babesia, Bartonella, and mycoplasma coinfections which one antibiotic would not target. Each coinfection tends to require a specific antibiotic. Herbs can target everything for the most part, but certain herbs can be added that target certain coinfections better. Each antibiotic also has side effects. We have not seen any side effects from the herbs, other than some mild herxing, which isn’t really a side effect, but let’s you know it’s working. In hindsight, did we do enough at the time of the bite to treat his Lyme? I don’t know. I think we did the best we knew how. I spent hours upon hours researching. We saw 5 different doctors for opinions (2 LLMD’s, one LLND, one holistic doctor, and one pediatrician.) They all recommended different protocols. The only thing they all agreed on (aside from the pediatrician) was 30 days of antibiotics. One LLMD recommended longer. We did 6 weeks to be on the safe side. He had minimal symptoms compared to most people. No one recommended a cyst buster but we added one anyway a couple months into his treatment (Haritaki. Now he is taking serrapeptase on the Cowden protocol). I know someone in Connecticut whose son was bit and they did 3 months of 3 different antibiotics and her son has not had any further issues so far. Another did herbs alone and her son is now fine. Our LLMD did not mention anything for detox either, which we now know is very important (we use Burbur among many other things including a DesBio Comprehensive Detox Kit). 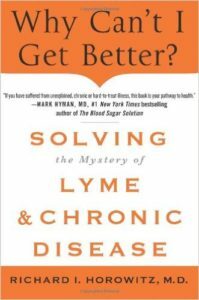 I don’t think any doctor in this world exactly agrees on how to effectively treat Lyme because it is such a complex and dynamic disease that we still do not know enough about. There are not even adequate tests for coinfections. According to ILAD’s and the CDC, we did what we were supposed to do and then some, but it didn’t eradicate my son’s Lyme and coinfections. I like to remind parents of my son’s case because many parents beat themselves up over not treating their child long enough at the time of their bite. They followed their doctor’s recommendations and only did 10 days of doxy and their child ended up with chronic debilitating Lyme later in life. Even if they had done longer, their child still may have ended up with chronic Lyme. As parents, we do what we think is best for our child and sometimes rely only on what our doctors tell us. It’s not your fault for listening to your doctor, but I hope that more parents take responsibility themselves to decide what is best for their child. I will share our story in another post some time, and what we do for detox, and what supplements we take. I’m glad I listened to my gut and took my son to the ER right away for antibiotics and didn’t listen to the ER nurse who said it wasn’t Lyme. Symptoms and blood tests later showed that they were dead wrong. If you or your family are affected by Lyme, please feel free to share part of your story in the comments and what protocols have been helpful or not so helpful. 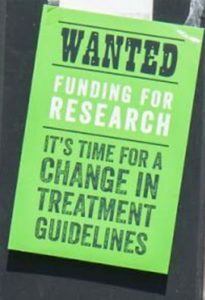 At this point, we need to learn from each other what works and what doesn’t work in treating Lyme. 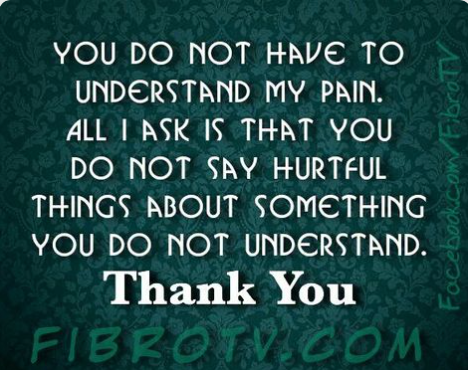 Please also be respectful of people’s choices in how to treat. We are all different. Different things work for different people. And if you’re wondering why Lyme is such an epidemic now (which it really is. It is spreading so quickly. ), google “Plum Island and Lyme.” I was appalled and I do not believe, nor do many top Lyme doctors, that it is merely a conspiracy theory. So, I hope this post is helpful. I know it is a controversial subject. Please, please, please continue to do your own research. No one can decide what is best for your child but you. This is a terrible disease which can often mimic juvenile arthritis, fibromyalgia, MS, ALS, chronic fatigue, Parkinson’s, and many other autoimmune diseases. If you have spent years undiagnosed with strange symptoms and chronic pain, chances are it might be Lyme. Your best chances of fighting it are to catch it and treat it early and aggressively. God help us all. And below is a picture of my son’s bulls eye rash…. 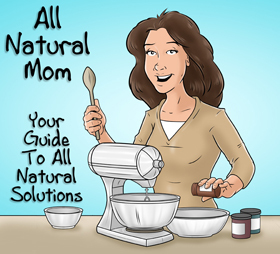 Posted in Biomed, Natural Living and tagged all natural mom, lyme, Lyme Disease, Sheri Davis, ticks. Thank you so much for sharing. Amazing detail! Thank you for this post! Bookmarking it, and buying astragalus!! Thank you for sharing! I too found out I had lyme as an adult, and then later my children were both found to have it, My son is CDC test positive, and clearly they got it from me congenitally, so I DO AGREE and know it is a fact. I breastfed both of them, and have had my health issues, and symptoms since childhood, only I never knew it was Lyme. I must have been bit at Table Rock Lake, MO, but the truth is it absolutely does pass to your babies, so I know the feeling of not being believed. Hi, my 5 year old grandson (who has lived with me for 3 years ) was recently diagnosed with Lyme disease 🙁 I’ve had him in and out of urgent care,er and his pediatrician since June from anything from his face swelling to running a fever to be told it’s an allergic reaction to common cold 🙁 on January 6th of this year his right knee was so swollen he could barely walk rushed him to er to be told he had fluid on the knee. Took him to his dr on the 9th did a blood draw and was told his white blood count was elevated but nothing to worry about. Took him back to his dr the 19th to be told it was toxic sinavitis and would go away on its own . :( the 27th rushed him to er with a low grade fever and swelling was going up his thigh and down his calf . Dr referred us to a ortho for follow up treatment .. on the 31st my lil man had a full panel blood draw done as well as a knee draw. Next thing we knew he was going to have emergency surgery to try and irrigate the infection out of his knee . :( we spent 5 days in the hospital on strong antibiotics and iv fluids as the MRI showed severe infection of his right leg joints 🙁 they still had no answers and on our third day in the hospital they decided to do a Lyme test as well as a strep test . We were released on Monday and seen the ortho surgeon on Thursday for a follow up to be told the Lyme test came back positive and no one had called us to tell us anything ! On Friday we seen his dr who said it came back positive but we’re going to do a western blot to confirm the first test. 6:30 that night his dr called and said he had came back positive for Lyme, to stop the cefolexin and start him the following day on amoxicillin for 28 days 🙁 we just seen the ortho surgeon on the 19th of this month to be told he still has an active infection and still can’t go to school 🙁 with the help of his walker he can get around pretty good but still not eating or drinking much ,has high anxiety ,mood swings ,irritability 🙁 he’s on pro biotics as well as vitamins to help keep his immune system up. I’ve asked multiple times to be referred to a specialist as we live in Oregon and NO ONE here knows how to treat my grandson ;( I’m so beside myself with everything I want my Lil man to be healthy and happy again ,to be my bouncing active 5 year old more than anything ! Plz if someone can help I’d be forever greatful ..
Hi Heide it’s heartbroken…my daughter has Lyme too…did you find a good Lyme doctor?is he doing better now? 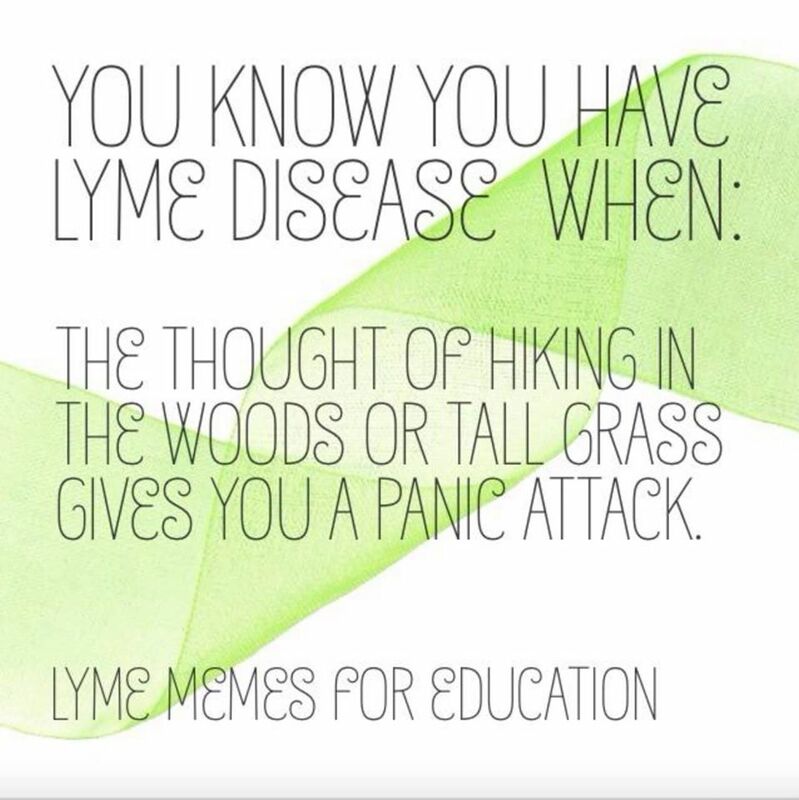 You can go to lyme association website to find the LLMD information in every state and also http://www.healingwell.com is a good website to get information. Hope he’s recovering! God bless!